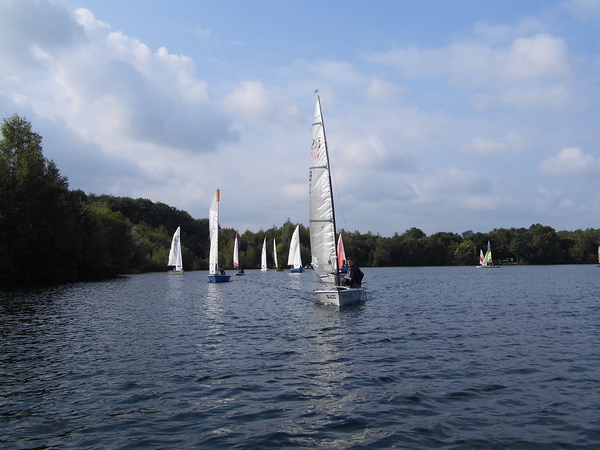 Our sailing splits into cruising and racing, with a good dollop of training and coaching thrown in too! As an RYA Teaching Establishment we are ideally placed to take novices through the basic learn to sail courses - from aged 7 upwards - and we then support that learning with a range of coaching programmes run on selected Saturdays for adults, teenagers and junior sailors providing you with additional support to get you sailing well. Many of our members enjoy the competitive nature of racing, and we offer the chance to join in with this on Wednesday afternoons and evenings (April to early September), and on Sundays throughout the year (every week from mid March to mid December, fortnightly in the depths of winter). Whether you are an ace helm seeking trophy winning glory or someone who just enjoys a bit of a tussle with fellow sailors our racing programme provides the chance to join with other members on the water. All of our activities require help from the members and we hope that everyone will get involved in one way or another. Duties in the race hut or safety boat on Wednesdays or Sundays have been expanded this year to include safety cover on Saturdays. Please help us to deliver the programme you all want to see by volunteering and turning up for your duties. Look out for our safety boat training courses and also 2 Race Management training workshops to help you develop your skills in these areas.